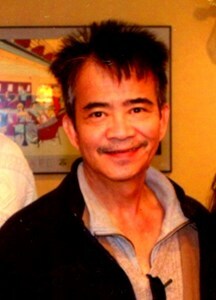 Newcomer Family Obituaries - Ngoc Pham 1957 - 2019 - Newcomer Cremations, Funerals & Receptions. There are endless words to describe this incredible man. Strong. Determined. Astonishing willful. Smart and witty, he could give anyone a run for their money. He was a born renegade, from living life by the sea in Alaska, riding motorcycles with a club in California, or rocking out in a Vietnamese rock band, he had a light and a spirit that was contagious to anyone that encountered him. But, alongside that silly grin of his, he’d tell anyone that his adventures were halted by his 5 “headache” children. This devout father worked endlessly to provide for anyone he cared for. He lived for his family, and continued to show his enduring strength as he fought so hard to stay by their side, surgery after surgery, hospital after hospital, shocking doctor after doctor with his perseverance. Our hearts ache and no words can describe how profoundly he will be missed. But in the end, God needed him more, and we can only find solace in the fact that you are rejoicing with our mommy and yours, in Heaven. We love you Daddy, thank you for everything we have, and everything we are, we owe it explicitly to you. He was adored and will be missed by his children, family and is rejoicing with his mommy and dad and our mother. Monday viewing service is traditional, Tuesday service will include monks for his blessing. To share a memory of Ngoc or leave a special message for his family, please click the Share Memories button above. Add your memories to the guest book of Ngoc Pham. As a Friend of FASO, the officer and board members extend their heartfelt condolences to the Pham family. May the soul of the faithful departed, specially that of Ngoc Pham, through the mercy of God rest in peace. Amen. Backy was one of the most generous people I’ve ever known. He would give you the coat off his back if you were cold, that’s the type of man he was. His smile and silliness will be very missed. Prayers for my cousins and our whole family for peace during this hard time. You are an amazing family. Take comfort in knowing Dad is with Mom. Our thoughts are with you all.